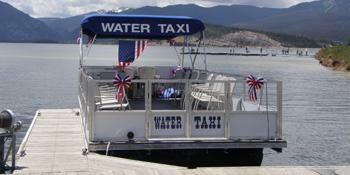 Take the water taxi between Dillon and Frisco for stunning views and easy transportation. Why drive when you can sit back, relax, take in the viewsand enjoy a nautical adventure? Service between Frisco Marina and Dillon Marina. Ride your bike around lthe lake and take the boat back! Cruise to dining at the Tiki Bar or Island Grill. Private charters available.